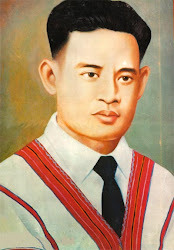 ‘‘We have been much misunderstood by our demand for a separate Karen State. Some people misunderstand it as a manifestation of our desire to return to servitude under the British, We are not so foolish." Venue: Forge Valley Community School Hall, Wood Lane, Sheffield S6 5HG. - We Karen have different names for Pyathoe, Skaw Karens call it Th'lay and Pwo Karens call it HtikeKauk Po. All fall exactly the same date. - The rice harvest is completed in the period leading to Pyathoe, and according to Karen tradition and religious practice, there must be a celebration for consumption of the new crop. It is also the time to plan the date for commencement of the next crop. Typically, this is also when new houses are constructed, and the completion of these must be celebrated. The first day of Pyathoe is a multi-faith festival, enjoyed by all religious groups. Karen New Year is celebrated throughout Burma, and by Karen communities worldwide. Our cultural celebration will include Karen ceremonial dance, and our traditional and contemporary Karen fashion show. We will recognise and honour the wise, mature generation who enable our community, and conclude the New Year celebration with a banquet of delicious Karen cuisine. We look forward for your participation in our celebration and wish you a very happy, peaceful, and prosperous new year. known as the Friends of the Burma Hill Peoples. been discussing the mass arrest of political opponents that very day. and Major Young, conspiring for financial gain to supply U Saw with arms. that day was not that of a man who had any immediate master-plan for power. the British withdrawal from Burma, was considering rejoining their ranks. were privately jealous of Aung San's dominating political power. they known to each other. to link to any greater conspiracy. link--nor was it shown to link--into any secret British conspiracy. members such as Stevenson made their disagreements clear and withdrew. of interest (where he said nothing), the main activist was, in fact, Col.
Cromarty-Tulloch, a veteran of Force 136.
secret British plot, but it has no foundation in historical fact. conspiracy theories that are trailed throughout the programme. selectively disregard it, even though his analysis has great meaning today. peoples of Burma still continues. and not with the leisure of conspiracy theories and speculation.